The Green Mile: A walk around St. Stephen’s Green. | Come Here To Me! « Shane MacThomais was a tireless champion of those forgotten by our history books. The Green Mile: A walk around St. Stephen’s Green. Firstly, my apologies for being quite inactive on here of late. There’s quite a lot going on at the moment, some of which I’ll say more about here in future, but all exciting none the less. 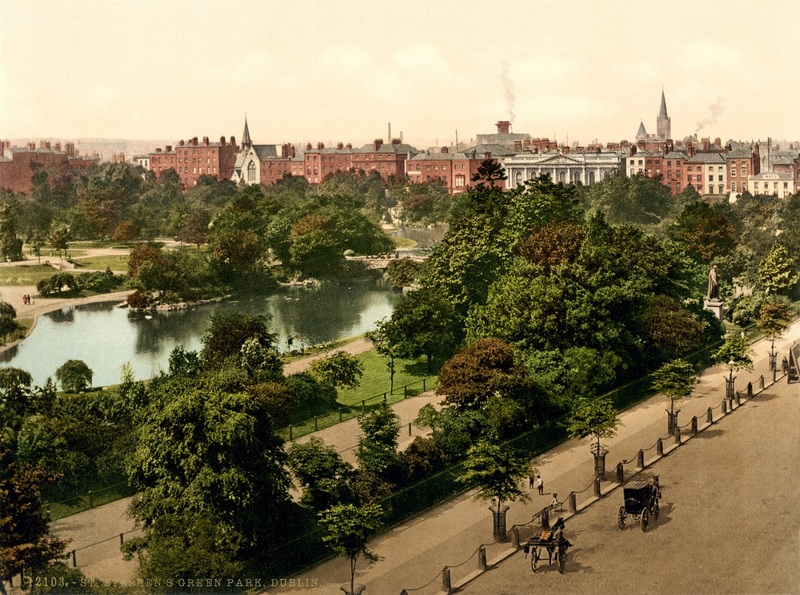 Starting tomorrow, I will be doing a weekly tour of St. Stephen’s Green. The park, and not the shopping centre. The tours run every Saturday and Sunday at 11.30am from The Little Museum of Dublin, and I will be delivering the Saturday tour each week. 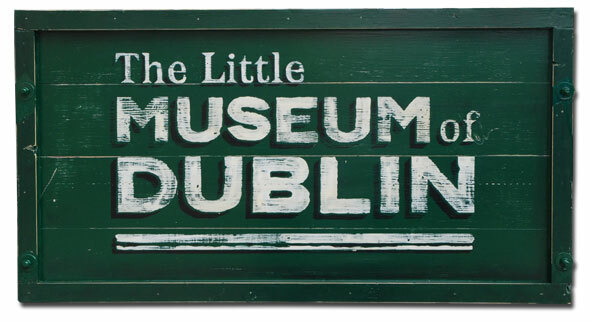 It’s incredible to think it’s taken so long for a tour specific to the Green to emerge in Dublin, and this is the brainchild of the Little Museum of Dublin, the museum of twentieth century Dublin that sits right alongside the park. The Sunday tours will be conducted at the same time by Ronan Sheehan, who produced one of our favourite books about the city, ‘The Heart of the City’, which we’ve featured on the site before here. The admission cost to the Museum covers the tour, so that’s €7 for adults but less for students and U18’s. My tours will cover, among other things, the history of ownership of the park, the various monuments within it, the relationship between the park and local residents through the ages and the revolutionary history of the Green. I look forward to meeting some of you over the coming weeks and months. That’s a fabulous little museum. Recommended. And particularly for Dubliners for whom it is a treasure trove of history and nostalgia. The tour is a great idea and there is no shortage of historical material and visual stimulation. Looking forward to taking it myself in the future. On the subject of the Green itself, are you familiar with the story or painting of the dying rebel. I don’t know where the picture is, but it was painted by Gordon Brewster from a sketch he made, or from memory, after he came across a dying rebel in the Green in 1916. I think the tour is a really great idea. Good luck! Good luck but I know you wont’ need it. The tour of Smithfield was bleedin’ rapid and, most importantly for any tour, every word you said could be heard and understood by everyone. PS: I have the book about Smithfield but you’re email address is bouncing back. Hi, is this running over Easter weekend?